CCTV used to be expensive, but we have teamed up with some of the best names in the business. We can install CCTV Systems in your home, restaurants, fast food chain or industrial properties at a much more affordable price. If you are looking for CCTV Installers in London and the Home Counties, we stand out a mile from other CCTV installation companies. 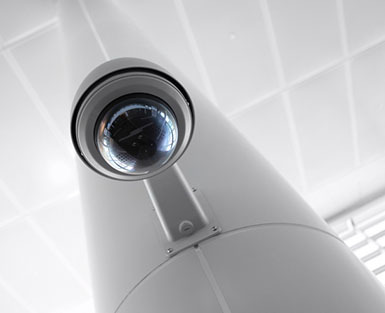 Having installed numerous CCTV systems in London and the surrounding areas, we are highly experienced and regarded as specialists in this field, when it comes to providing security and surveillance equipment for both commercial and domestic use. The cost of a CCTV system for your home or business has dropped dramatically over the last years. These days you can you can have a cheap CCTV system installed that is often cheaper than a monitored house alarm and with no monthly fee. CCTV camera systems act as a deterrent just by their presence. Statistics show that visible CCTV cameras reduce the chances of criminal activity. Whether you are a home or business owner, the one thing that you will want is a CCTV system that it is easy to use. With this in mind, we can provide systems where you can monitor footage on your iPad, iPhone, or other smartphone. This is ideal when you are away from your home or business. Virtually all our previous clients have opted for CCTV cameras linked to their broadband which allows them to monitor real time footage remotely. We have been installing CCTV systems in shops, restaurants, offices, homes, and industrial units for a number of years, so we have a wealth of experience working with lots of different industries and in lots of different environments. If you have a shop or any other type of business, CCTV camera equipment is a must to keep your business secure and drastically reduce shoplifting, the likelihood of illegal activities taking place on your premises any form of vandalism. They are also a valuable resource to monitor staff to prevent internal theft. We offer a range of commercial CCTV installations with pan and tilt cameras up to 720p HD cameras. To get advice and a free quote, call us. The cost of a CCTV system is far lower than it used to be and this has enabled it to become affordable for the vast majority of home owners. Having a camera monitoring system in your home not only gives you peace of mind by decreasing the chances of a break in, it will also provide evidence should it be needed in a criminal prosecution. You also have the added benefit of potentially lower insurance premiums by fitting a CCTV system in your home. We have a number of CCTV packages for home use which will suit your budget. 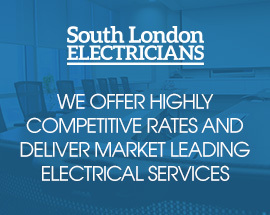 To find out what we can do for you, ring us today. What affects the cost of an CCTV installation system? Number of cameras – The number of cameras will play a part in how much you’ll pay, however, once a system has been installed it is a relatively simple process to add additional cameras at a later date. High definition (HD) CCTV – HD CCTV cameras are more expensive to buy than analogue cameras as the image sensors on HD CCTV cameras provide images of a much higher resolution which is very useful for identification purposes. A basic CCTV home system is fine for general home monitoring, but if you need to use CCTV images for evidence in a court case, you will need a professionally installed HD CCTV set up. Night vision – Most CCTV cameras have integrated night vision, however, the range can vary from camera to camera and this will reflect in the price. If you are unsure as to what your particular requirements are, we can help you find the answers you are looking for and the right camera to suit your needs. Just give us a quick call and we will be happy to have an informal chat, or to arrange an appointment to come out to your home or business to assess your needs and provide a no-obligation quote.